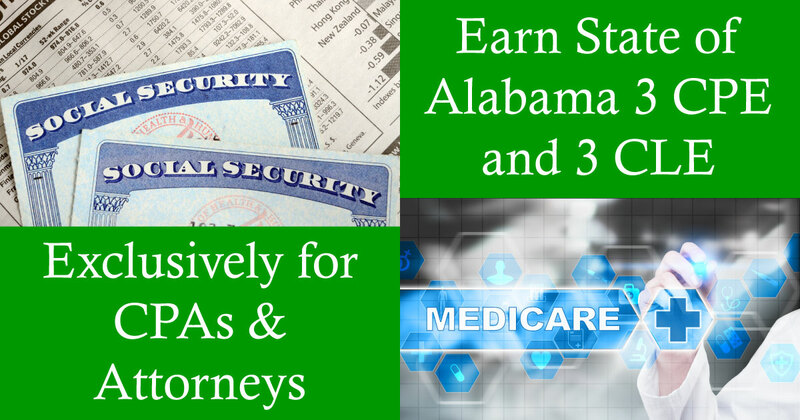 Savvy Social Security & Medicare Planning - What Attorneys and CPAs Need to Know to Effectively Help Their Clients | Meld Financial, Inc.
Social Security and Medicare can be far more complicated than people realize. The decisions your clients make now can have a tremendous impact on their retirement and financial well-being. The last several years your speaker, Pat Burris®, has helped many CPAs and Attorneys with unique and somewhat complicated Social Security and Medicare filing strategies for themselves and their clients. Learn some of the nuances with Social Security and Medicare at the 3-hour CPE/CLE educational event exclusively for CPAs and Attorneys, hosted by Meld Financial. This workshop will help professionals like you learn how to help your clients make sure they are effectively utilizing the benefits available to them. * This course or a portion thereof has been approved by the Mandatory Continuing Legal Education Commission of Alabama for a maximum of 3.0 hours credit. Approved for 3 hours CPE by the Alabama State Board of Public Accountancy.